Area young cheerleaders will have an opportunity to improve techniques and learn new routines by participating in a Cheer Clinic scheduledSaturday, June 21, 2014, at East Central Community College in Decatur. Activities are set for 9 a.m. to noon at the Brackeen-Wood Physical Education Building. East Central Community College golfer Sawyer Williams finished in the middle of the pack in the 2014 NJCAA Division II Men’s Golf National Championship held May 20-23 at Swan Lake Resort in Plymouth, IN. Williams recorded rounds of 77-82-80-77 for a 316 total and finished 63rd in the 128-person field. Tuition will remain the same for the upcoming school year at East Central Community College in Decatur, announced ECCC President Dr. Billy Stewart. Dr. Stewart made the announcement following the May 13, 2014, meeting of the ECCC Board of Trustees, which approved his request not to raise costs to attend the two-year institution this year. His recommendation not to raise tuition and general student fees is based on the proposed FY2015 E&G Budget, which is built upon a projected increase in state appropriations and student enrollment. Stress Counseling will be available for all First Responders at the Louisville Fire Department on Tuesday, June 3rd and Thursday, June 5th at 6:00 pm. This includes all volunteers, police, sheriff and fire personnel. After the Heroics, Why Do We Turn On Each Other? All the adrenalin is used up, people are tired, stressed and frustrated. And unfortunately, folks are now acting in ways that are not only hurtful to each other but also to relief efforts in our community. Rumors, half-truths and an unwillingness to learn the facts are all being used to damage relief efforts through the Winston Strong Relief Fund. That may not be the intent of your actions but that is the effect. Restoring our community is not going to happen overnight. It is a “long term” effort and will take funds and planning for the long term. Encouraging people and businesses to not contribute to Winston Strong because you don’t understand the need or you don’t agree with the process is shameful - and it’s petty. Due to the tornado damage to Dean Park, the Juneteenth Day Festival has been cancelled. The drawing for the tickets sale will be held in front the Winston County Courthouse,Saturday, June 7, 2014 at 5:00 p.m. You do not have to be present to win. New and transfer students planning to attend fall 2014 fall classes at East Central Community College are encouraged to attend one of four orientation and registration sessions scheduled this summer on the Decatur campus. The four sessions will be held Saturday, June 7; Friday, June 20; Friday, July 11; and Friday, August 8, announced Dr. Randall E. Lee, Vice President for Student Services. Kenneth Tyree Holmes " Survivor of Tornado in Louisville,MS"
Kenneth Tyree Holmes (sitting) greets the Friends of Dean Park, Inc. clown, Richard Moncrief, and gets treated to a Red Hill Lunch along with his friend who is seemingly enjoying pushing Tyree in the wheelchair. "There is a New Officer In Town"
Louisville welcomes its newest police officer as John Tyler Yarbrough was sworn into the Louisville Police Department as a patrol officer on May 23. Yarbrough is shown here with his wife, Kristen, Chief L. M. Claiborne, Assistant Chief Andy Taylor and Mayor Will Hill. Notice is hereby given that the City of Louisville, MS, is now taking applications for professional services for Building Inspection Services. Job descriptions and requirements are available upon request at the Louisville City Hall, 662-773-9201, on the City's website at http://cityoflouisvillems.com/ or by email at louisville@bbimail.net Applications may be filed at the City Hall, P.O. Box 510 or 200 South Church Street, Louisville, MS 39339, no later than eleven o’clock (11:00) A.M. on Friday, May 30, 2014. Winston County recognized its fallen warriors on May 24 with a ceremony in front of the Winston County Courthouse. The early morning program included the presentation of colors and the singing of the National Anthem by Billie Bowie. Joanne Agent recited a poem and provided a short history of the founding and meaning of Memorial Day. meeting on Thursday, May 29 for businesses that suffered damages and/or were affected by the tornado in Winston County. The meeting will be held from 10:30 am til 11:30 am at the offices of Winston County Economic Development/Chamber of Commerce at 311 West Park Street in Louisville. U. S. Senator Thad Cochran made a follow-up visit to Winston County on Tuesday, May 27 to tour storm damaged areas. Cochran met with local elected officials and community leaders for a closed briefing on the activities and clean-up progress following the April 28 tornado that ravaged the County and City of Louisville. Cochran toured the temporary Winston County Medical Center, residential areas along Eiland Avenue and a poultry farm between Louisville and Noxapater. Senator Cochran, along with other members of the state's Washington delegation, toured the area hours after the event that left 10 persons dead in the county and destroyed or heavily damaged hundreds of homes and businesses. 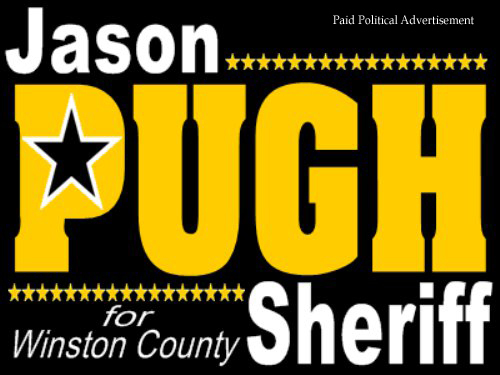 for Winston County. Through the efforts of the Winston County Partnership and the use of the Winston Community Development, Inc., the fund “WinstonStrong” was established. 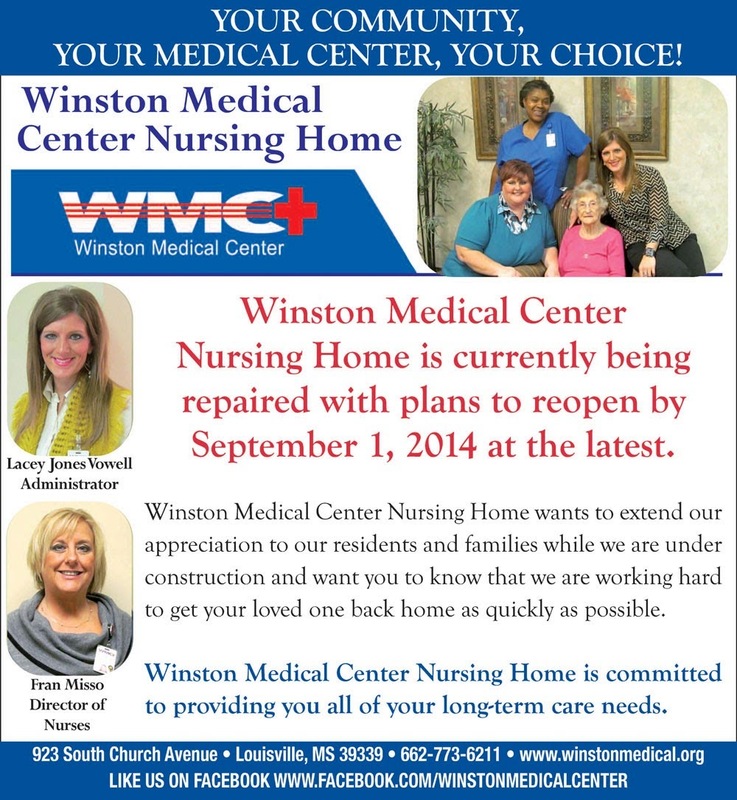 Funds contributed to WinstonStrong are to be used for long term relief efforts in Louisville and Winston County. These funds are not to be dispersed for short term, immediate needs of storm victims. 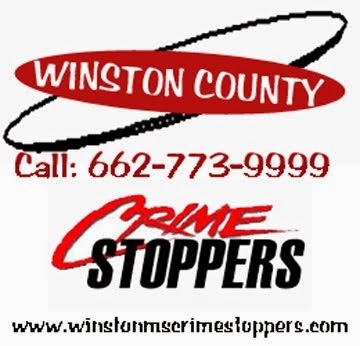 Funds are administered through the Winston Community Development, Inc. which is an established 501c3 non-profit. This means that any contributions will be tax deductible. A 9 member board composed of an ethnically and economically diverse group of Winston County citizens will administer the funds with direction provided by MSEMA and FEMA. Proper audit procedures will also be in place. Still Confused by Voter ID in Mississippi? Here's What You Need to Know. Winston County Circuit Clerk Kim Ming indicated that there was still some confusion among the public concerning Mississippi's new Voter ID law that will take effect for the first time in the upcoming primary election in June. Beginning with the June 3, 2014 primary election, all Mississippians voting at the polls will be required to show a photo ID card. Also, individuals voting in person by absentee ballot in the Circuit Clerk’s oﬃce prior to the June 3, 2014 primary election Day will be required to show a photo ID. Fun Today at Red Hills Fest!! As we approach one month since the April 28 tornado that tore through Winston County, removal of debris from our properties and along the roadside has become a major topic across the community. Debris removal amd monitoring firms have been hired by the City of Louisville and Winston County and the removal process should begin shortly. Many individuals have questions relating to insurance coverage for debris removal and proper procedures to follow. WWN spoke with Rick Nunn, a representative of True North Emergency Management, the debris monitoring firm under contract to the city. Nunn stressed that the main objective of their firm and of any applied regulations is to not do anything that would jeopardize FEMA reimbursement to the community for debris removal. Stages will be located in the Winston County Courthouse parking lot on Park Street. Louisville High School Graduation is set for tonight at 7:00 pm. Graduation (Commencement) Ceremonies have been completed at Winston Academy, Grace Christian, Nanih Waiya and Noxapater. Red Hills Festival kicks off tonight at 7:00 pm- come out and hear the music from 7-10 as Slim Pickins and Ashley Tutor perform live. The Red Hills Car Show normally held in the First Baptist Church parking lot on S. Church has been moved to the Taylor Fire Museum on N. Church. Same great show - just a different location - Any questions call Jerry McCullough at 803-4205. Debris Removal Questions? 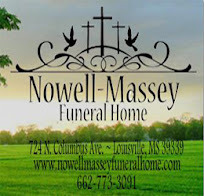 - We will have some further info coming up on Winston Web and the Debris Monitoring firm for the City of Louisville - True North will have a booth set up at the Red Hills Festival to provide more info and to answer your questions. Booth location is uncertain at this time but will be on S. Columbus in the vendors area. Saturday is Canoe Day at the Noxubee Refuge. Canoes are available from 9 am til 3 pm. Canoes, kayaks, paddles, and life jackets will be available free of charge. Call 323-5548 for more information. 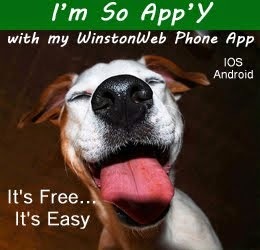 Have a great weekend and ....... Stay Winston Strong!! ATLANTA – The U. S. Small Business Administration has approved more than $5 million in Disaster Assistance Loans for residents in Mississippi affected by the severe storms, tornadoes and flooding from April 28 through May 3, 2014. Also, the SBA reminds homeowners, renters, businesses and non-profit organizations in Mississippi that the deadline to submit a phyiscal disaster loan application is June 30, 2014. The RED HILLS CAR SHOW has been moved from First Baptist to the Taylor Fire Museum on North Church Ave right past Gregory's and Hardee's. The Museum will open at 10 AM. The car show will be open at 8 and judging starts at 11AM. Call Jerry if you get lost @ 803-4205. (May 23) and all day Saturday in downtown Louisville. In a sign that our community is returning to our "new normal" the event will be held as scheduled with no curtailment of any events. Organizers are expecting a larger than usual crowd and the weather should be great for the weekend. In addition to the regular events such as the car show, 5K walk/run, carnival, music and vendors, this year's festival will include an auction at 1:00 pm with proceeds going to the Winston County Disaster Relief Fund- "Winston Strong". MS. First Lady Returns to Winston County to "Read Across Mississippi"
As part of the "Read Across Mississippi" Program, Mississippi's First Lady Deborah Bryant was in Nanih Waiya earlier this week to read to students at the Nanih Waiya Attendance Center. Mrs. Bryant spent several days in Winston County immediately after the April 28 tornado and provided assistance with relief and shelter efforts. The Winston County Board of Supervisors has awarded the Contract for Debris Removal to Hughes Construction Company of Louisville MS, and the Monitoring Contract to ARX Disaster Management of Picayune, MS.
City of Louisville officials had a full agenda in their regularly scheduled meeting on Tuesday night (May 20) however debris removal was the focus of attention. In a special meeting on Monday, May 19, the City approved a contract with locally based 4D Construction in partnership with Southern Debris Removal based in South Carolina. The agreement was approved by the Board of Aldermen but was not signed. Further legal review on Monday and into the day on Tuesday revealed that the proposal submitted by the partnership did not properly meet the requirements of the RFP (Request for Proposals). The RFP presented to all bidders requires that the primary contractor be a Mississippi Licensed Contractor. contributions of supplies for disaster relief, one load of items from north Mississippi was more than welcome on Tuesday. 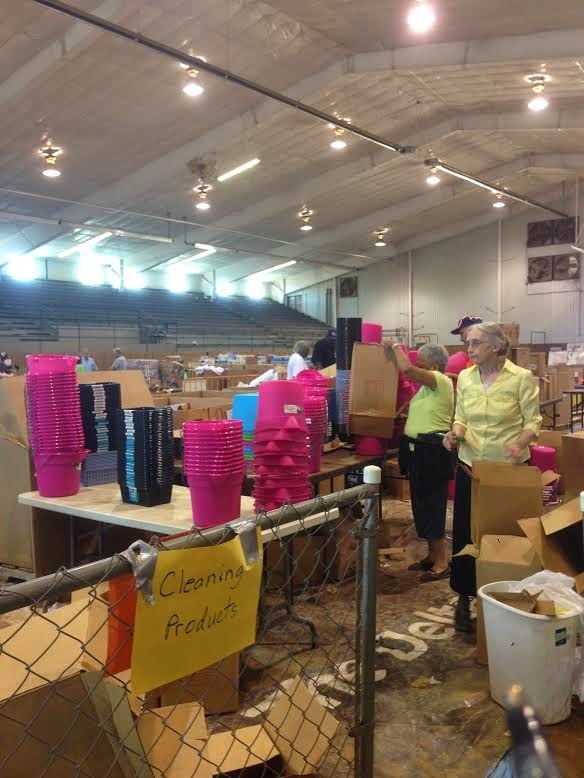 The Batesville Exchange Club and United Plastics in Sardis cooperated to contribute several thousand dollars worth of plastic supplies to the relief effort. 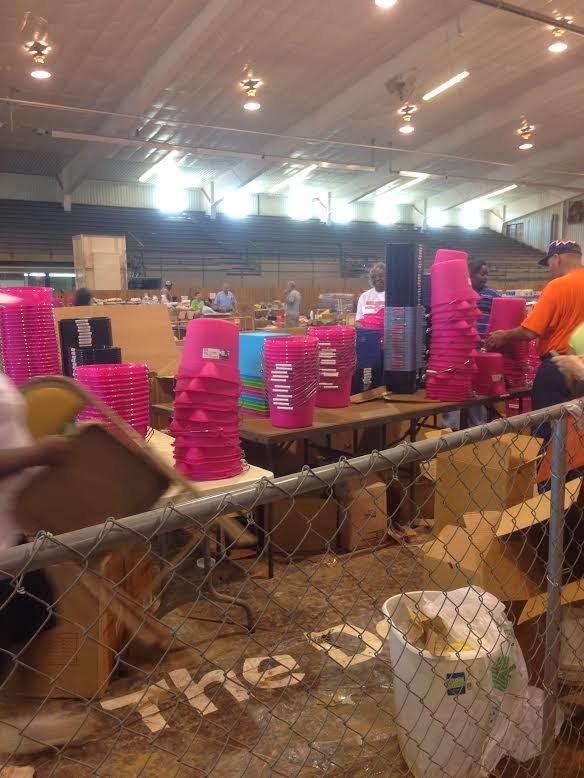 Buckets, storage containers and an assortment of trash cans were all loaded and delivered and made ready for use by tornado victims and volunteers. FOUNDThe Louisville Police Department is asking for the public's assistance in locating a missing person. Andrea Dawn Shurden has been missing since the morning of May 19th. Shurden was last seen around 8:30 am on monday walking in the Spring Street/Ackerman Street area. Dawn Shurden is 37 years of age and was wearing black pants and a green sweater. Family members indicate that she is in need of her medication. If you have seen Shurden or have information of her whereabouts, please contact the Louisville Police Department at 662-773-3511. The Winston County Emergency Management Agency in conjunction with Charlie McCool’s Walgreens, WCBI TV, the Jackson Office of the National Weather Service, and Midland Corporation will be hosting a weather radio programing event on Wednesday, May 21. Fugate toured the newly opened Winston County temporary hospital this afternoon (Monday) with local officials and hospital staff. The temporary facility located on South Church in Louisville opened at 7:00 am on Monday after three weeks of preparation following the April 28 tornado that damaged the existing Winston Medical Center. 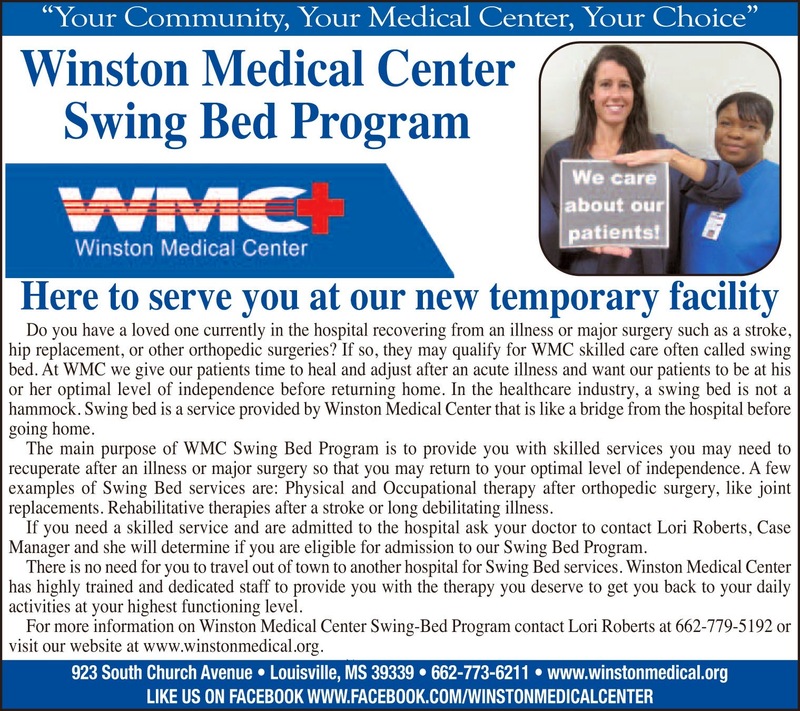 The temporary mobile facility was brought in from a location in North Carolina to serve the Winston County community until the Winston Medical Center can be repaired or rebuilt. Bryant and Fugate toured the emergency facilities, patients' area, lab and x ray departments as well as the four concrete storm shelters located on site. The hospital will provide 10 patient beds and 5 emergency room beds. The Winston County Library is getting ready for four different reading programs for people of all ages. “The theme for this summer is focused on science, and we have some great programs lined up that will be quite interesting,” said librarian Beth Edwards. Children 2-5 can enjoy the “Little Einsteins” program each Monday in June from 10:00 – 11:00. Children’s librarian Julie Chase will host a Magic Show on June 2nd, a Mad Science program on June 9th, a Puppet Show on June 16th and an Awards & Water Fun Day on June 23rd. If your vehicle was damaged in the tornado and you did not have sufficient insurance coverage to replace it, you may be eligible for assistance from FEMA. #1 You must file for assistance with FEMA. #3 have been in working order and used for travel to work or school. Peace Officers Memorial Day during the week of May 11-17. Louisville Police Chief L.M. Claiborne is shown here with a wreath donated by the Pack Rat Store in Louisville. Each year, our country sets aside a week to salute the men and women who do the difficult and dangerous jobs of safeguarding our communities. Peace Officer Memorial Day on May 15 provides an opportunity to mourn those lost in the line of duty but to also remember their service. Chief Claiborne stated "No matter what else is going on around us, (disaster recovery) we still need to take time to honor those who have fallen in service to their communities. Anyone who sustained damage to their vehicle in any of the 12 federally-designated Mississippi counties, even if they do not live there, may be eligible for help to repair or replace their vehicle. But they must first register with FEMA. To be eligible for federal disaster assistance, you must register with FEMA. Registering with state, local or voluntary agencies such as the American Red Cross does not qualify you for assistance from FEMA or SBA. FEMA assistance does not affect benefits from other federal programs such as Social Security, SNAP or Medicaid and is not considered taxable income. If you have insurance, be sure to file your claim and go ahead and register with FEMA. FEMA cannot provide assistance which is available from another source, including insurance, but FEMA may be able to assist with losses not covered by insurance. You must submit your insurance settlement documentation to FEMA to qualify. More than $7.5 million in total federal disaster assistance has been approved by FEMA and SBA. Nearly $2.8 million approved for housing grants, including short-term rental assistance and home repair costs. More than $882,000 approved to help cover other essential disaster-related needs such as medical and dental expenses and lost personal possessions. Nearly $3.9 million in low-interest disaster loans has been approved by SBA for renters and homeowners. More than 4,000 people have contacted FEMA for help or information regarding disaster assistance. In addition to FEMA grants for individuals and families, other forms of disaster assistance are provided by the U.S. Small Business Administration and other partner agencies such as the American Red Cross and the Salvation Army. FEMA refers some survivors to those agencies. All businesses that contact FEMA are also referred to the SBA. Others may be interested in other programs such as disaster unemployment assistance and disaster legal services. 1,839 (87 percent) home inspections completed. Nearly 3,200 visits to disaster recovery centers by people affected by the disaster. 8 disaster recovery centers are open across the affected areas. We’re working with our local, state, voluntary, federal and private sector partners to identify immediate and long-term housing needs and develop solutions. FEMA Individual Assistance is calling applicants in designated counties after they register with FEMA to assess their housing situations and identify any immediate needs. The primary focus at this time is to help get survivors back into their homes or into safe, sanitary and secure temporary housing as close to their homes, jobs and schools as possible. We’re working to identify survivors who can move back into their homes with emergency repairs and connect with them with volunteer construction groups who can complete those repairs. In Winston County: A donations warehouse and volunteer reception center has been set up at the Winston County Coliseum, 201 Ivy Ave. in Louisville. Those wishing to volunteer are asked to register at the reception center. In Lee County: The volunteer reception center has moved to All Saints’ Episcopal Church on Jefferson Street in Tupelo. For more information, call 662- 842-9133 or visit unitedway.org. If you sustained damage from the April 28 to May 3 storms in Itawamba, Jones, Leake, Lee, Lowndes, Madison, Montgomery, Rankin, Simpson, Warren, Wayne and Winston counties, you may apply for federal disaster assistance. o Register online at DisasterAssistance.gov. o Call the FEMA helpline at 800-621-FEMA (3362). o If you are deaf or hard of hearing and use a TTY, call 800-462-7585. § Lines are open 7 a.m. to 10 p.m. (central time) and assistance is available in multiple languages. Register with a smartphone or tablet at m.FEMA.gov or get the FEMA app. 265 Tishtontee Dr., Mantachie, Miss. 8 a.m. to 6 p.m., Monday through Saturday, closed Sunday. 320 Court St., Tupelo, Miss. 8 a.m. to 6 p.m., Monday through Saturday, 1 p.m. to 6 p.m. Sunday. 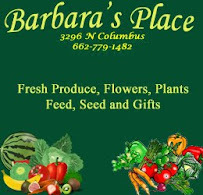 222 Lawrence Dr. and 381 Stadium Rd., Columbus, Miss. 826 S. Church St., Louisville, Miss. After registering with FEMA, the SBA may contact applicants about low-interest disaster loan options. It is very important to complete the forms and return them to SBA. After being contacted by SBA, survivors should complete and submit an application in order to continue the federal assistance process. It is part of the FEMA grant process and can pave the way for additional disaster assistance. SBA can offer loans to help homeowners, renters and businesses cover immediate repair, rebuild and replacement expenses until insurance is settled. If you have questions, visit the nearest disaster recovery center, call the SBA customer service center at 800-659-2955 (TTY 800-877-8339) or send an email to DisasterCustomerService@SBA.gov. In a short meeting of city officials, the City of Louisville approved True North Emergency Management as the debris monitoring firm for debris removal. Mayor Will Hill indicated that seven proposals were scored from those received and that True North's received the highest score on criteria utilized. True North Emergency Management is a wholly owned company of Neel-Schaffer and focuses specifically on Emergency Management and Debris Monitoring business. Services provided by True North include disaster debris monitoring and management, safety, damage assessments, emergency management planning, training and exercises. (from website). Debris monitoring includes documentation of quantities of debris and procedural compliance to guarantee eligibility for FEMA grant funding. The City Board also approved the solicitation of contractual services for building inspections before adjourning. The Board will meet again on Monday, May 19 at 9:00 am. The major item on the agenda will be the selection of a debris removal firm. Ten proposals are to be reviewed and there was not sufficient time to fully score and consider them for today's meeting. No mobile homes will be permitted in the city limits of Louisville. Those that are already located in the city are grandfathered in with their current status and ownership. Mobile homes cannot be brought in for temporary living quarters. Travel trailers/motor homes can be connected to city utilities on your own property for a period of time while a home is under construction or being repaired. If you have further questions, call Louisville City Hall at 662-773-9201. You can donate to the Winston Relief fund by mail thru Renasant Bank and now online through the website http://www.winstonstrong.com. If you haven't yet filed with FEMA and you had damage from the April 28 tornado - now is the time to do so. 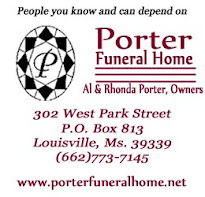 For counties of Itawamba, Jones, Leake, Lee, Lowndes, Madison, Montgomery, Rankin, Simpson, Warren, Wayne and Winston; and for Economic Injury Only the contiguous counties of Attala, Carroll, Chickasaw, Choctaw, Claiborne, Clarke, Clay, Copiah, Covington, Forrest, Greene, Grenada, Hinds, Holmes, Issaquena, Jasper, Jefferson Davis, Kemper, Lawrence, Monroe, Neshoba, Newton, Noxubee, Oktibbeha, Perry, Pontotoc, Prentiss, Scott, Smith, Tishomingo, Union, Webster and Yazoo in the state of Mississippi; Choctaw, Franklin, Lamar, Marion, Pickens and Washington in the state of Alabama; East Carroll, Madison and Tensas in the state of Louisiana. The Disaster Recovery Center in Louisville is reducing office hours beginning this Saturday. It will be open from 8 a.m. until 6 p.m. Monday through Saturday and 1-6 p.m. on Sunday. The center had been operating 12 hour days, seven days a week. Representatives from the Federal Emergency Management Agency and the Small Business Administration are on hand to take reports. Winston County residents with any damage from the April 28 tornado should come to the center to report damage. All reports are important in the recovery process. Dozens of farmers and landowners on Thursday took part in a first-of-its-kind meeting following a disaster in Mississippi. The Mississippi State University Extension Service organized the three-hour event at the request of Winston County Emergency Management Director Buddy King. 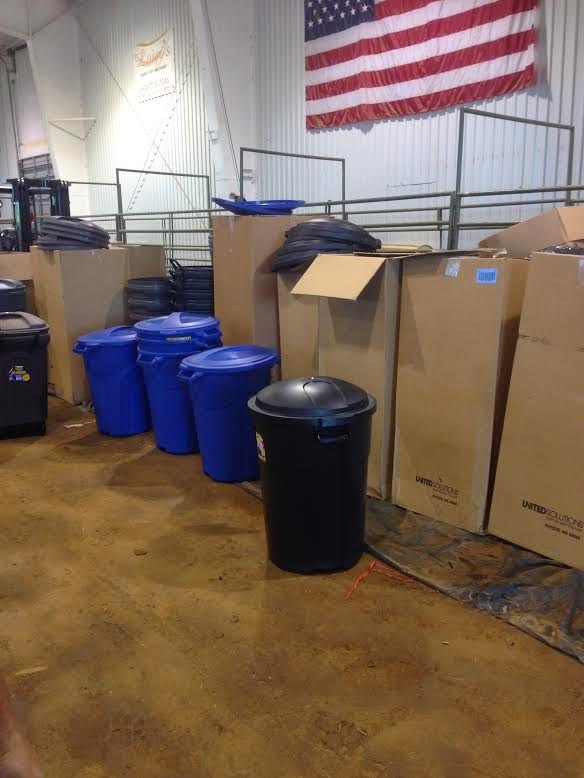 The Agriculture Disaster Recovery Center, which was located at the Winston County Extension office, provided information stations for farmers to address specific recovery needs related to timber, cattle and poultry. Samaritan’s Purse is requesting more volunteers to assist with sawing downed trees and limbs and moving them for county cleanup efforts. Volunteers should check in at the Samaritan’s Purse tent at the Louisville Coliseum at 201 Ivy Ave. or go online to http://www.samaritanspurse.org/. JACKSON, MS – Mississippians engaged in agriculture or aquaculture who sustained damage from recent tornadoes or storms might be eligible for financial assistance for damage or losses occurring during that period. Along with residents of the 12 counties named in the presidential major disaster declaration for tornado and storm damage April 28 through May 3, they may be eligible for federal help to repair or replace their primary residence. Additionally, there are federal programs directed specifically at some categories of farm and ranch disaster losses. 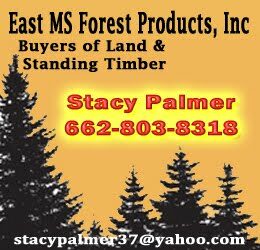 Those benefits do not require a presidential disaster declaration and thus could be available for storm losses in any Mississippi county. FEMA grants to help repair damage to a primary residence are available from FEMA’s Individual Assistance program. Additionally, long-term, low-interest disaster assistance loans may be available from the U.S. Small Business Administration (SBA) to help repair or replace their primary residence. The starting point for both funding sources is registration with FEMA. Building permits will be issued normally in Louisville in unaffected areas. In tornado affected areas, building permits will be issued after an area & property are cleared of debris. This could take up to 2-3 months depending on the area. Jackson- To assist Mississippians struggling to overcome significant losses caused by the recent storms, Commissioner of Insurance Mike Chaney today (May 6) instructed insurers to work with policyholders in impacted areas regarding payment of premiums. The City of Louisville and Winston County Law Enforcement are in agreement concerning the removal of debris from the road right of way. There has been some confusion concerning the right to scavenge salvagable material after it has been pushed from the owner's property onto the R.O.W. 1. If debris is still on the owner's property, removing it without permission is not legal and constitutes looting. It is best to get the owner's permission in writing before removing anything at this point. 2. Debris on the right of way may be removed if the property owner allows you to do so from their property. In other words - if they allow you to park in their driveway or physically on their property while removing items. 3. You may not park on the street or right of way and remove items from the debris pile due to the traffic hazard involved. 4. Once the contract for debris removal has been agreed upon- all debris on the right of way becomes the property of the debris removal company and cannot be removed except by that company or its subcontractors. governments, as well as certain non-profit organizations. Public Assistance. Madison County was declared for categories A and B only. begin long-term repairs and rebuilding," Gov. Phil Bryant said. * Category A: Debris Removal. * Category B: Emergency Protective Measures. * Category C: Roads and Bridges. * Category D: Water Control Facilities. * Category E: Buildings and Equipment. * Category G: Parks, Recreational Facilities and Other Items. Winston County issued requests for projects for debris cleanup and monitoring from the April 28 tornado. Bids must be received prior to 12:00 noon on Tuesday, May 20. The Mississippi Insurance Department has a representative at the Disaster Recovery Center on 826 S. Church Ave., in Louisville who can assist consumers who are having difficulties with their claims or consumers may call our toll free Consumer Line at 1-800-562-2957 for assistance. The following link is to a special Tornado Assistance Page on the MID website which offers ALL forms of disaster assistance information, in addition to necessary insurance information. Winston County residents struggling with the emotions resulting from the April 28 tornado have services available to help. Community Counseling has a counselor at the new location of the Winston Medical Center, located in the Teter’s parking lot on South Church Street. The free crisis counseling/stabilization services are available from 10 a.m. until 2 p.m. on weekdays. A 24-hour mental health crisis hotline is available at 1-888-943-3022. Community Counseling can also see clients at their office at 507 West Main St. They are open from 8 a.m. until noon and from 1-5 p.m. Removing scrap metal and other debris from private property without permission of the owner is not legal and constitutes looting which carries a penalty of up to $10,000 fine and 15 years in prison. It is recommended that anyone get signed permission from the property owner before removing material. Once debris is moved to the road right of way and a citywide/countywide contractor has been chosen, that material becomes the property of the contractor and cannot be legally removed by another party. The Winston County tornado’s path is littered with debris, but the biggest obstacles may not be visible on the property. Insured property owners need to understand their policy requirements before moving debris or repairing buildings. By now, policy holders should have notified their insurance companies of the damage and reviewed coverage with a representative. Winston County officials are receiving reports of problems with the ongoing debris removal from property throughout the tornado damaged area. Residents are being warned of issues connected to insurance claims and safety concerns related to debris piles. Appalachian Regional Commission officials visited Louisville on Monday and surveyed the damage from the April 28, 2014 tornado as well as taking the time to tour the new hospital facility under construction. Their visit also brought some funding to help the storm ravaged community. ARC committed $50,000 to relief efforts - specifically to help bridge the gap between recovery costs and other federal funding such as FEMA. ARC has invested significant grant money in Winston County in recent years including funds to assist in bringing Natron to the empty Georgia Pacific facility in Louisville. That facility was scheduled to begin operation later this year but was destroyed in April's tornado. The temporary Medicaid Out Station for Winston County is located at 826 South Church Avenue, Louisville, MS. Hours of operation are Tuesdays and Wednesdays, 8:30 am to 4:30 pm. Medicaid beneficiaries needing assistance with non-emergent transportation to Doctors appointments may call 1-866-331-6004. Three days advance notice is required. Louisville Animal Control has found the owners of all the recovered animals except one dog. A few dogs remain missing. The shelter has not found the owner of a medium-sized, reddish-yellow male dog with a white stripe down his face. Missing dogs are described as a black Labrador mix with white paws, a reddish-yellow Border collie type dog and two Chihuahuas. Donors have been generous, but the shelter still needs cleaning supplies and 39-gallon trash bags. Pet food is available for animals owned by families impacted by the tornado. Volunteers managing the donation center at the Louisville Coliseum are reporting excesses and shortages.There is an abundance of bottled water, dental items and clothing. Donors are asked to focus efforts on cleaning supplies, towels, washcloths, new underwear, new bed sheets, kitchen supplies, pull-up diapers and baby toiletries such as shampoo and diaper cream. Food items needed include sugar, flour, oil and corn meal. Horse feed also is needed. Families in need of these items can go to the Louisville Coliseum or any of the outlying points of distribution located at Center Ridge, Mars Hill and Noxapater. Financial donations for disaster relief may be made through Renasant Bank or online at http://winstonstrong.com/.